And I'm Steve Ember with People in America in VOA Special English. Today, we begin the first of two reports about singer Marian Anderson. She finishes, and there is a long silence. Then the people clap and cheer. They call out for another song. And they call out her name: Marian Anderson. Marian Anderson was an American. But she found success in Europe before finding it in her own country. She was born in eighteen ninety-seven in Philadelphia, Pennsylvania. She grew up surrounded by poverty. Yet she remembered her family as a happy one. The Andersons were deeply religious and involved in their church. It was in church where Marian first began to sing in public. She was six years old. The songs she sang were spirituals -- the religious songs that African Americans sang as slaves. The songs are about suffering, and the hope of a better life after death. Marian's interest in music grew as she got older. When she was eight, her father brought home an old piano. She never thought she would be able to play it. One day, however, she heard piano music coming from an open window. She looked inside the house. There she saw a woman, playing ever so beautifully. Her skin was dark, like Marian's. She knew then that if another black woman could play the piano so could she. The Andersons were too poor to pay someone to teach Marian. So she was able to teach herself only a few simple songs. Her voice remained her most important musical instrument. Marian's father died when she was ten years old. She had to go to work to help support her family. She continued to sing at church on Sunday. Soon, other churches heard of the young girl with the beautiful, deep voice. They invited her to sing for them. Marian accepted. She began singing in African-American churches all over Philadelphia. At about this time, several people told Marian that she should have a voice teacher. They told her that a beautiful voice can be destroyed if it is not trained. Marian said she always sang naturally, without any thought of how she did it. She realized that she would need some training. The people in Marian's church were very proud of her. They wanted to help, even though many of them were as poor as the Anderson family. They collected enough money to pay for a few voice lessons. She went to a local music school in Philadelphia. "I just looked at the woman. I was shocked that such words could come from someone so young. I did not understand how a person surrounded by the joy of music could not have some of its sense and beauty inside her. It was as if a cold and horrible hand had touched me. I had never heard such brutal words. My skin was different, but not my feelings. " Marian Anderson was to hear those hateful words many times again during her life. 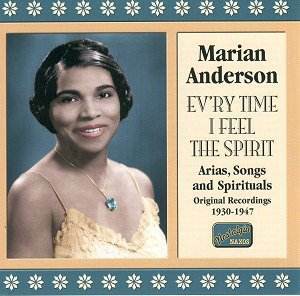 Marian Anderson continued to sing at churches and special gatherings. Her singing became more widely known. But she still felt that her voice needed training. Finally, a friend promised to help her meet a well-known voice teacher. The teacher was Giuseppe Boghetti. Only the best singers in Philadelphia were his students. Marian went to see Mister Boghetti. She was nervous, because she wanted to please him. He told her that he already had too many students. He made it clear that he would listen only because he knew her friend. Marian's nervousness disappeared when she began to sing. The song she chose was one she knew best. It was called "Deep River". Mister Boghetti sat quietly when Marian finished. There were tears in his eyes. Finally, he said: "You will start training at once. I will need just two years with you. After that, you will be able to go anywhere and sing for anybody. " Marian Anderson was very happy. Her friends agreed to help pay for her lessons. Mister Boghetti taught her how to control and direct her voice. He also taught her how to breathe correctly. Marian learned to sing classical music -- the songs of the great European composers. 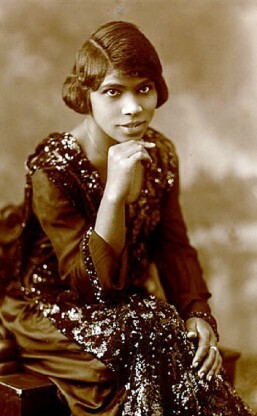 Marian Anderson grew to love opera, because it joined singing and acting. But Mister Boghetti advised her not to choose opera as a way to make a living. He knew that black singers in America were not permitted to sing with white opera groups. Instead, he told her she could be successful by singing in concert theaters. She followed his advice. In nineteen twenty-four, Anderson sang in New York City for the first time. In those days, a singer had to be recognized in New York to be successful everywhere else. She sang in one of the most important concert theaters in the city -- Town Hall. She sang some spirituals and some classical music. She wanted to make sure she would be judged as a singer who happened to be black -- not as a black singer. Marian Anderson's town hall concert was not successful. Few people came to listen. The next day, newspapers sharply criticized her. They said she sang the European music without feeling or understanding. Anderson was crushed. She decided to return to Philadelphia. She thought about never singing again. And I'm Steve Ember. Join us again next week for People in America in VOA Special English. We continue the story of Marian Anderson and how she went on to gain great success as a singer. 1. 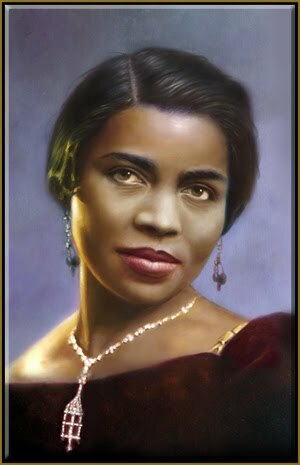 Marian Anderson began to sing in public _______________ . a: in Town Hall, New York City. 2. Marian Anderson's church helped her _____________________ . 3. A _____________________ inspired Marian Anderson to play the piano her father bought for her. 4. 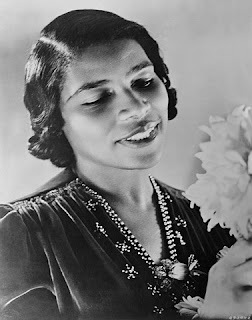 The first type of music that Marian Anderson sang was a _______________ . 5. When a white woman at the voice class rejected Marian because of her race, Marian didn't understand how anybody ________________ could be racist. 6. Philadelphia's best voice teacher agreed to teach Marian Anderson because _____________________ . a: he was moved to tears when she sang "Deep River." c: he was also African-American. 7. During Anderson's childhood, her family was ____________________ . 8. Giuseppe Boghetti didn't teach Marian Anderson how to ____________________. 9. 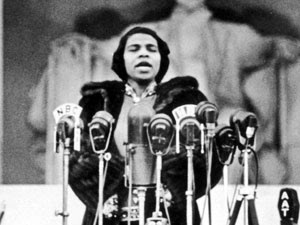 Marian Anderson's first appearance in New York City's Town Hall was _______________ . 10. Marian Anderson wanted to be judged primarily as __________________ . Marian Anderson sings: "He's Got the Whole World in His Hands."